Maria serves as Co-Chair of the Entertainment & Media practice, and as Special Counsel, to the firm and practices in the field of Entertainment and Media Law. Maria provides services to individuals and entities in all areas of Entertainment and Media law, including, film (both documentary and feature), music, literary publishing, fashion, sports and new media. 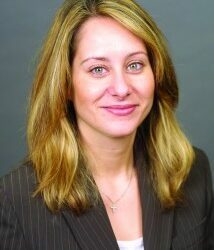 Most recently, Maria was general counsel for a multi-media and digital start-up working on a diverse range of subject-matter areas including corporate and financing transactions, technology development and licensing, employment and intellectual property (including trademarks, copyrights and patents) both in the US and abroad. Prior to her role as in-house counsel, Maria was associated with Rudolph & Beer, LLP and Greenberg Traurig, LLP where she served as counsel to numerous award-winning actors, writers, producers, television hosts and multi-platinum recording artists, sports teams, and corporations in the fashion industry related to their entertainment and intellectual property matters.